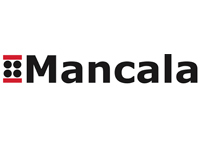 The Mancala Group is an Australian based group of companies and has been providing specialised mining services with a commitment to safety, quality, innovation and operational efficiency for in excess of 25 years. During Mancala’s operational history, the Group has demonstrated its expertise in the construction of vertical and lateral mine development and in efficient mine production and ancillary activities as a contractor and mine owner/operator. Proven safe work practices and procedures, combined with fit for purpose equipment and highly experienced personnel place Mancala as a leader in the provision of mine services in the Australian and Asian markets. Striving to achieve zero harm. Taking pride in what we do; on time, on budget and to specification. Doing what we say we will with honesty and respect. Revolutionising processes and applying technology to achieve better outcomes for all stakeholders. Recognising people as our greatest asset and encouraging personal excellence.